View our map detailing the history of street paving. 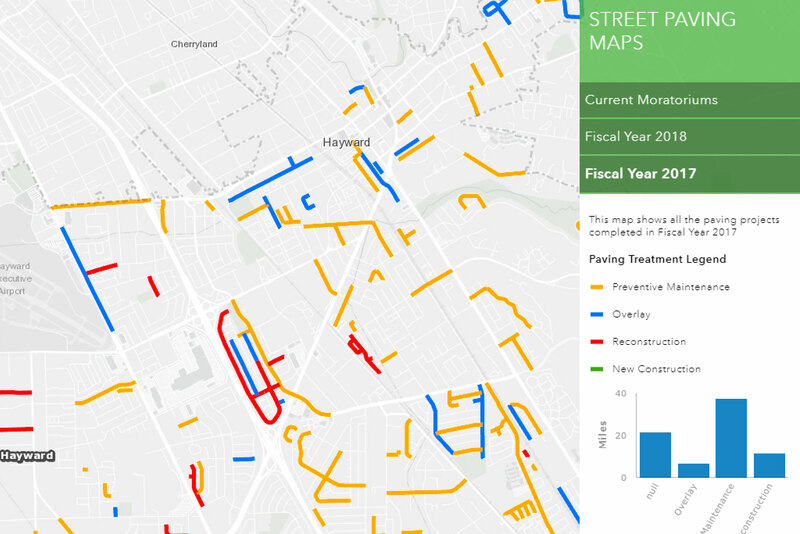 See what streets are currently under moratorium and check the pavement work done by fiscal year. The Hayward Streets layer has more than just names and addresses. Take a look at some of the other attributes that we track in our GIS street layer. 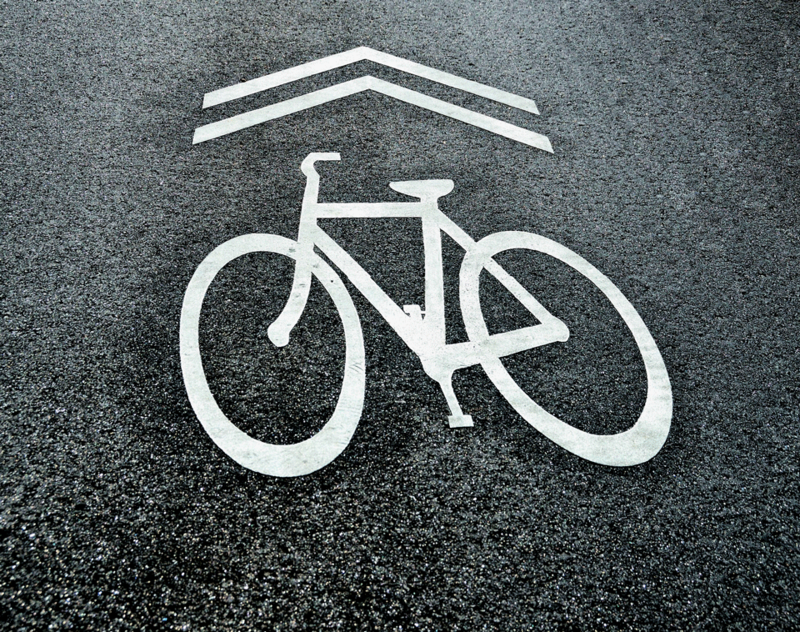 The Hayward Bicycle Route System includes multiple types of bicycling infrastructure, including off-road paths (Class I), bicycle lanes (Class II), and low-traffic roads (Class III). View the data in a web map, or download the data from our open data portal to create your own application.